Coconut + chocolate + maple syrup = heaven. These salted chocolate coconut treats are little bursts of delight in your mouth and taste like a Mounds bar minus the high fructose corn syrup. And they are so easy to make! In honor of Easter I chose to use silicon Easter egg molds for these little guys. 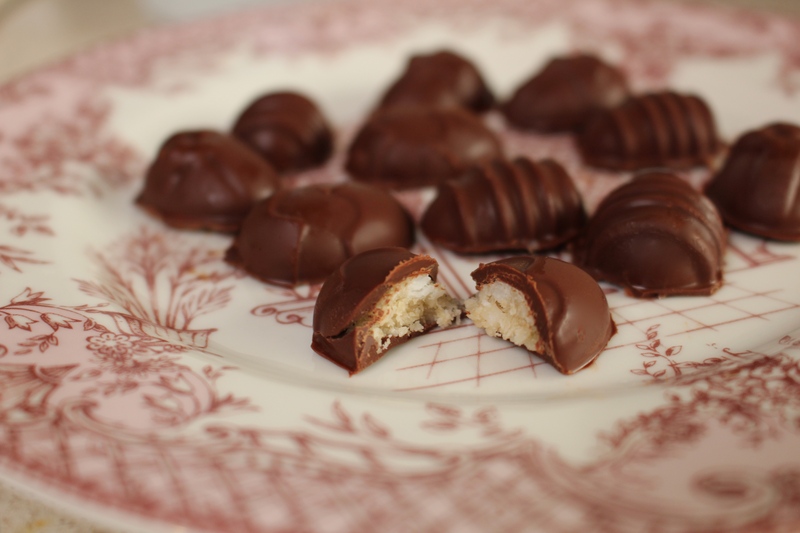 Because the most time consuming part of making these is letting the chocolate and filling set in the freezer, I recommend using several molds to help speed the process along. Enjoy! Using a double broiler melt your chocolate chips and palm oil over a medium low setting, stirring frequently. While the chocolate is melting mix together your filling. Place all of the filling ingredients in a small bowl (it is not necessary to melt the coconut oil first) and mix together by hand and set aside. 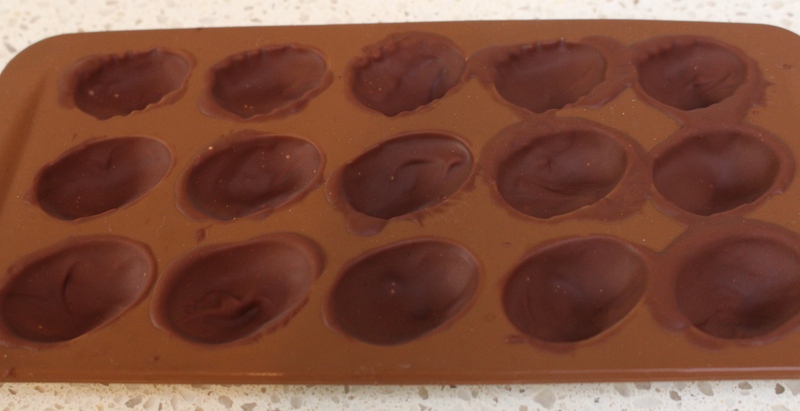 Next, using a small brush, coat the insides of the candy mold. Place in the freezer for 5 minutes to set. Add the filling into each mold, filling 3/4’s of the way. Freeze again for 5-10 minutes to set. Once done paint the final coat of chocolate to seal in the filling. Freeze again for 5 minutes. Once done, pop out the candies into a sealable container (I use a pyrex glass bowl) and store in the refrigerator until you’re ready to eat/serve. So, so good!